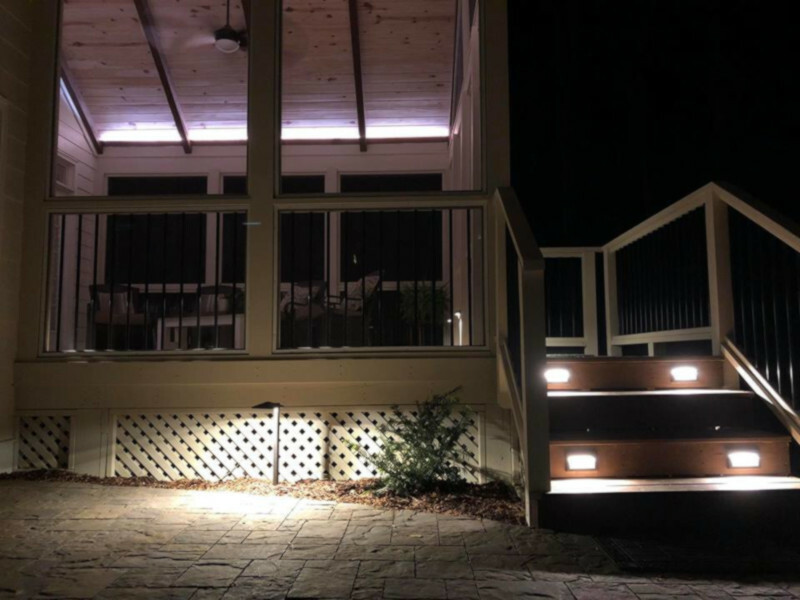 This Post and Beam Screened Porch is beautiful day or night! - in the Raleigh - Durham area of NC | General Contractor Anthony & Company Construction, Inc. 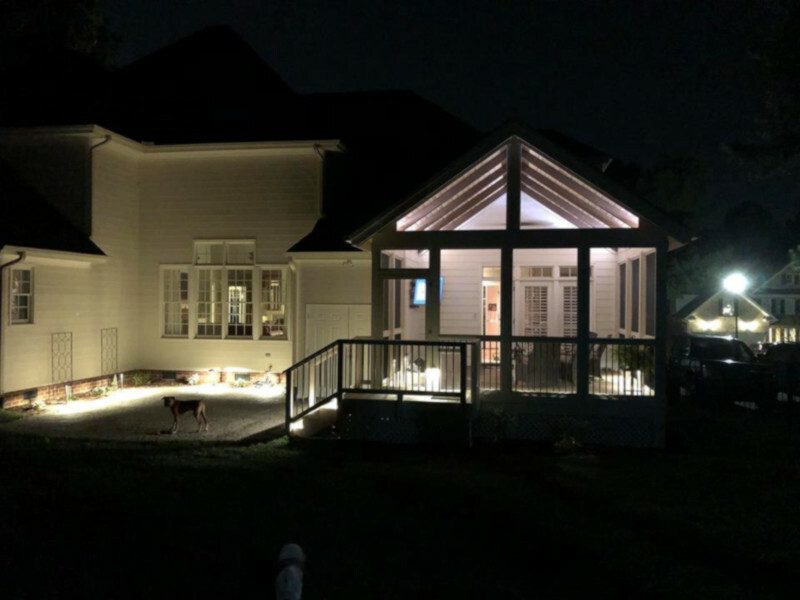 The Dement Post and Beam Screened Porch - beautiful day or night! The Dement home was wonderful as is, but the homeowners wanted to have more space to enjoy for more of the year - without some of the down side of being outdoors. 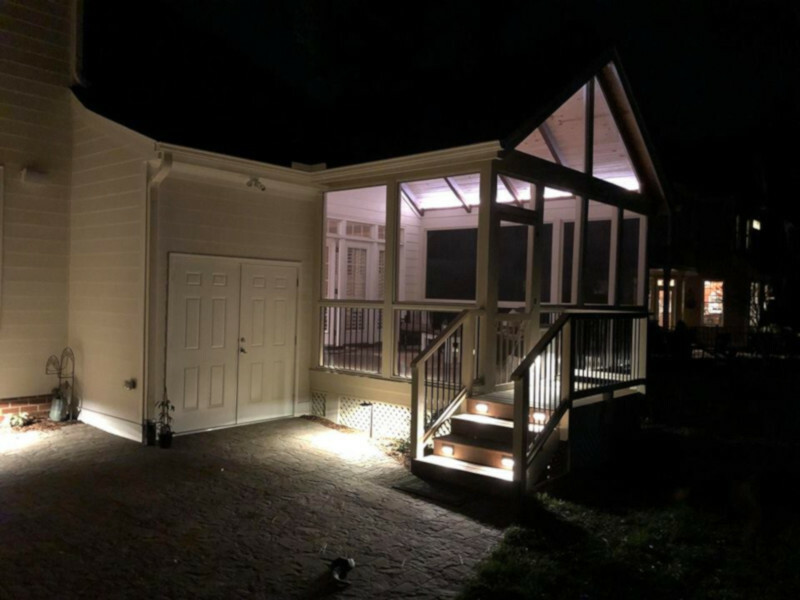 After dark, the porch undergoes a magical transformation - the lights installed at the base of the ceiling create a glow above, and the lights inside give a warm ambiance perfect for relaxing or entertaining! The lights continue outside, lighting up areas to enjoy just looking, or to move the party outside! Even the steps have lights to aid you on your way down or up! 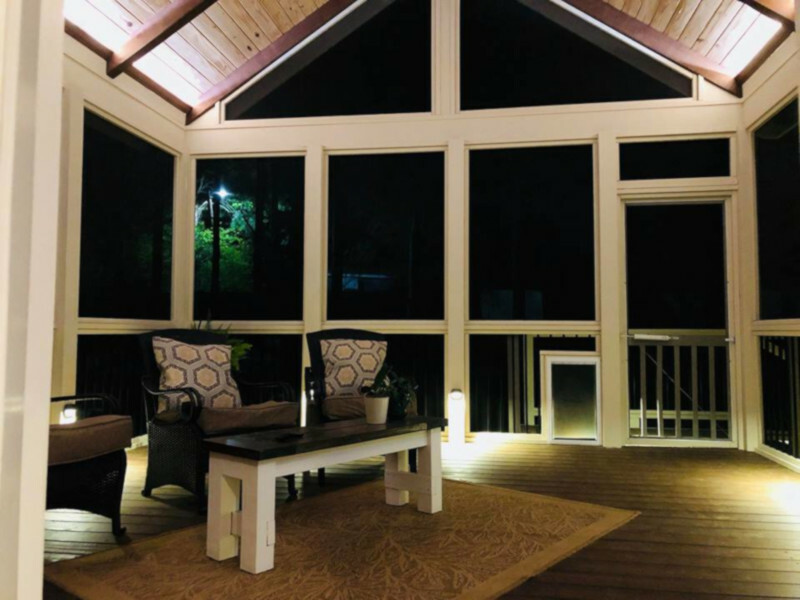 A post and beam screened porch much like this could be yours! Call or contact Anthony and Company Construction, Inc. today to start planning your special project! After dark, the porch comes alive and glows! Even the steps are lit up! The ambiance is perfect for relaxing or entertaining!